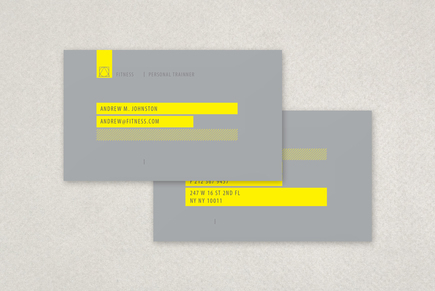 A personal trainer can utilize this business card to display contact information. The clean, light layout of the business card reflects the idea of leading a healthy, active lifestyle. The color palette also works to convey the core mission of a personal trainer to instill ideals of physical health in clients.